The first American college specifically for Latino students will now close. 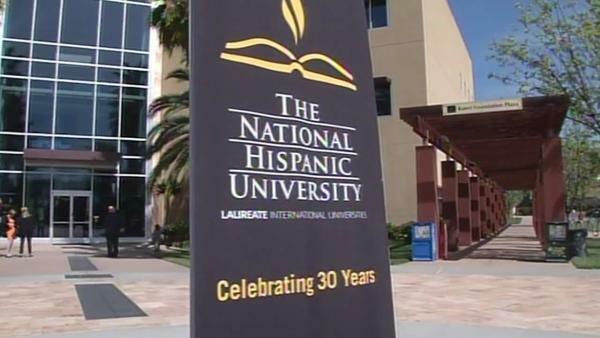 The National Hispanic University, founded in Oakland, California, in 1981 to address the needs of Latino students, announced in March that it’s over next year. Over the past few months, The National Hispanic University (NHU) Board of Directors and administration have sought and gained insight from our students, community leaders, and others as we looked at ways our institution can move forward. After a deliberative review process, the Board has determined that because the university continues to face significant ongoing regulatory and financial challenges, the institution cannot operate as it has in the past. The NHU Board of Directors met on March 19, 2014, and has announced a range of actions designed to ensure that the university’s vision endures and that its students successfully complete their studies. NHU’s doors will remain open, and we will continue to teach and support our current students through the 2014-15 academic year. And after that, aside from helping students enrolled in certain programs to complete their education through other means, that will probably be it for the school. Even though a local philanthropist helped to support NHU, the institution faced struggles from the start. Founders created the private school to address the needs of first-generation Latinos, who have many barriers to successful college completion, particularly financial ones. Founder Roberto Cruz patterned the school after historically black institutions, but it never quite worked out as well as, say, Howard University did. After years of financial struggles, four years ago NHU’s board decided to sell the institution to a for-profit company, Laureate Education, Inc. Laureate planned to fix the school by increasing online enrollment. That’s the much-discussed gainful employment rule, which cuts a college program focused on “career training” (mostly for-profits and community colleges) off from financial aid if student loan payments are greater than 12 percent of graduate (or former student) incomes. 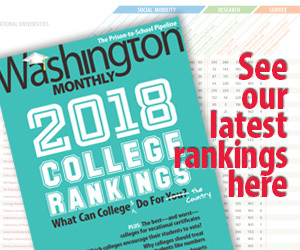 …A program also loses eligibility for federal financial aid if its program has a default rate of 30 percent or greater for three consecutive years. NHU’s ultimate failure helps highlight the many problems that Latino students face when they try to attend college. Because most of the students were poor (some 60 percent of the students received Pell Grants, generally taken as a proxy of students in poverty) the school was always in a financially precarious position. But then, it also cost too much money to attend, and the school saddled its students who too heavy a loan burden. It appears it was really the Department of Education’s effort to crack down on low-quality for-profit schools that did NHU in.